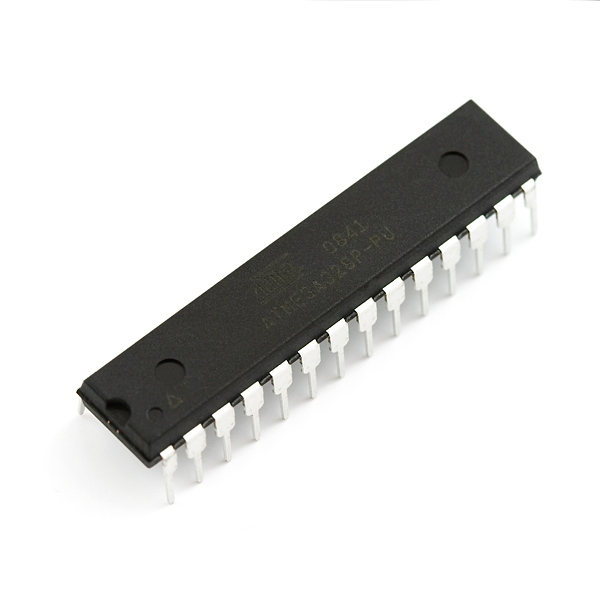 These Atmel ATmega328 8-bit AVR® microcontrollers are high-performance RISC-based devices that combine 32KB ISP Flash memory with read-while-write capabilities, 1KB EEPROM, 2KB SRAM, 23 general-purpose I/O lines, 32 general-purpose working registers, serial programmable USART, and more. Atmel ATmega328 MCUs execute powerful instructions in a single clock cycle, allowing the device to achieve throughputs approaching 1 MIPS per MHz while balancing power consumption and processing speed. These Atmel MCUs are designed for use in industrial automation and home and building automation.